The supply of metals usually fluctuate, and because of this, it is a good idea to look into recycling. Recycling scrap metal comes with benefits. With the 5 easy and simple steps below, you will come to understand why it is necessary to start recycling today. Before anything else, you should understand what recycling is all about. By definition, recycling is all about processing used materials like scrap metal into new or innovative products. These new products can be utilized again, similar to recycled paper, plastic, and glass. Recycling offers many benefits which include saving energy and the conservation of exhaustible or limited resources. Recycled products are environment-friendly. Around 8% of recycled materials are made up of scrap metal, since the latter is depleting at a very distressing rate. Firstly, you should start collecting scrap metal. You can go around the neighborhood and check out companies/establishments from various industries. Collection requires time and effort, and if you are determined to recycle scrap metal, you will not hesitate to go about this activity. The second step is sorting, and this is usually done through sorting agents. The scrap metals will be divided according to composition and type. Metals with similar composition are packed and sent to designated recycling centers. The third step is inspection. All packed scrap metals of the same composition are inspected prior to melting. The fourth step is the melting process. Here, the metals are heated through devices called smelters. You must be aware that the melting points of metals vary depending on the composition. Hence, there is a wide range of smelters used for recycling scrap metal. The scrap metals are melted in big chunks through extremely high temperatures. The fifth step of the recycling process if cooling. Small bars or ingots are used to mold melted scrap metals, and allowed to cool. After this, the metals can be reused in different industries. Manufacturers or companies from different industries purchase the recycled scrap matter, and the prices will depend on the metal’s quantity, purity, demand, and market condition. A very good example of recycled scrap metal is soda cans. 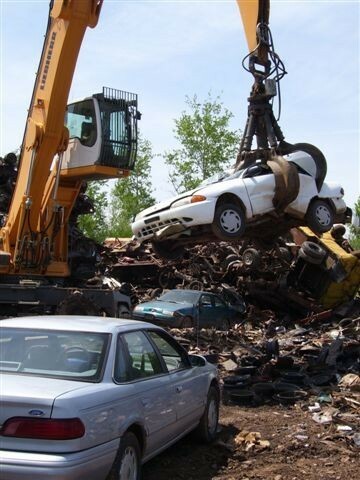 The best thing about scrap metal recycling is that you can reduce environmental problems. In fact, most governments throughout the world encourage recycling. Today, steel makes up the largest percentage of recycled metal. Soda cans, automobiles, construction materials, and appliances can be recycled to make steel. Other sources of scrap metal are railroad cars, steel structures that have been demolished, and obsolete or old machines. All these scrap metals can be turned into new cars, stainless steel utensils, and many others. Recycling offers many benefits, and this is one thing that people can’t ignore. If you want to save natural resources and solve environmental issues, it is time to recycle scrap metal and other things that can be reprocessed. Today is the best time to collect scrap metal, so you can do your small share of saving the environment!